The "Supreme Court" of Crimea rejected the appeal to the previous decision to arrest the Crimean Tatar activist Server Karametov. 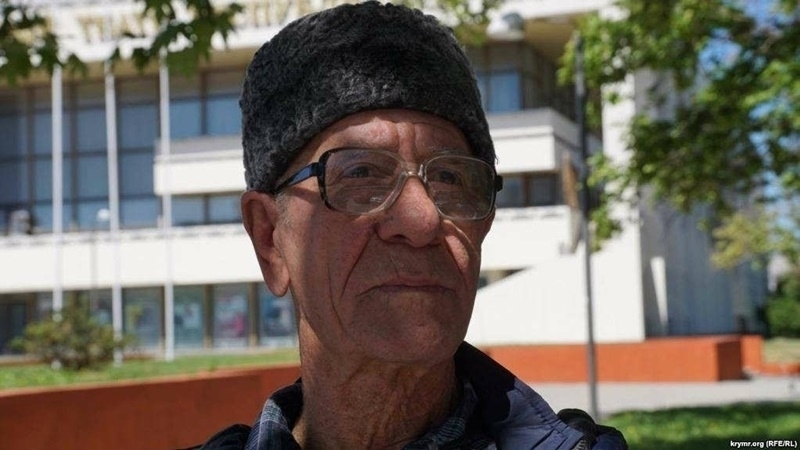 August 11, the Supreme Court of Crimea upheld the decision of the Zheleznodorozhny District Court of Simferopol, which on August 9 sentenced the 76-year-old activist to 10 days of arrest for allegedly "disobeying the police," lawyer Edem Sememlyaev informed. Priviuosly, on August 8, the same "court" of Simferopol fined an elderly activist 10 thousand rubles. Note that Server Karametov suffers Parkinson's disease and speech disturbance, despite this, Russian law enforcers detained him, and held him in court for two days. 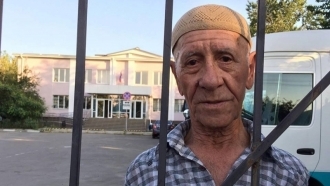 Human rights organization Amnesty International in its statement demands immediate release of the 76-year-old Crimean Tatar activist Server Karametov, who was detained for holding a solitary picket in support of the persecuted Crimean Tatars. "To arrest an elderly person with poor health and throw him behind bars because of a poster. It's another example of an ongoing campaign by Russian authorities to suppress peaceful activism of the Crimean Tatar community," said Oksana Pokalchuk, Executive Director of Amnesty International Ukraine. She also noted that this case embodies the long brutal persecution of Crimean Tatar activists. "Server Karametov must be released immediately and unconditionally," she concluded. Previously QHA reported that the Server Karametov was detained on August 8 for a single picket outside the "Supreme Court" of the Crimea. At the time of the arrest, Karametov stood near the courthouse with a placard saying "Putin, our children are not terrorists" written in big letters. Below it was also attributed: "Stop accusing the Crimean Tatars!"